Generally in MPD/UBD operations and drilling companies use devices to measure flow in and flow-Out. The most common device nowadays for flow_out is a Coriolis flow meter (mass flow meter), because this technology is reliable and offer measurements not only flow but density, temperature among others. There exist a variety of these Coriolis flow meters in the marketplace. The Coriolis meter’s accuracy is affected by the effects of changing fluid properties and fluid dynamics, density, viscosity, Reynolds number, swirl and irregular flow profile. 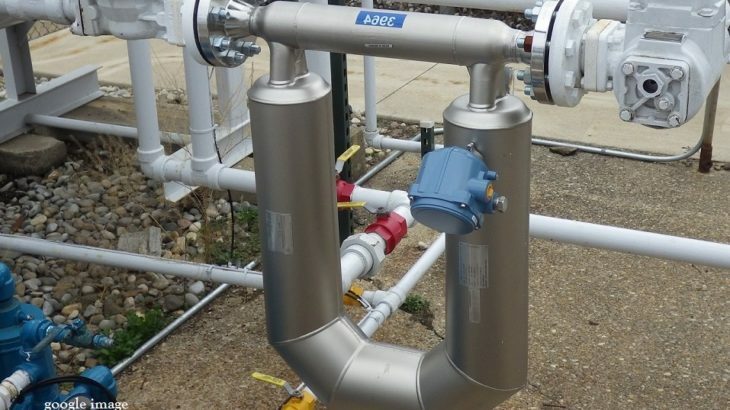 Normally it’s used the basic flow meter readings like mass flow rate, volume flow rate, drive gain, density and temperature; however there are other registers they can use to improve their operations. For instance, Emerson’s flow meter offers a wide variety of registers to get proper diagnostics and predict future anomalies within the flow meter. It is important that application’s developer get the most of those registers and implement them in their diagnostics tools, so field supervisors can easily determine what is going on in the current process. Left & right POV, tube frequency/Tube period, Live Zero, Delta T are among the important register to get advanced diagnostics. Moreover its possible implement calculations to predict the variable process condition. E.g. based on the tube frequency the density in the flow meter can be calculated if doesn’t match with the current density most like something else is going through it. (Next article we will discuss how implement calculations to improve flow meter’s diagnostics). One of the best practices to predict anomalies is get historical values and graph them against time (trends), so field supervisors can see the flow meters’ behavior. Some times when the supervisor is expecting gas (connection gas, influx, etc.) coming out the meter, these variables can change drastically when the gas reach surface. Most of the time the presence of two-phase flow can cause noise in the measurement signal of a Coriolis meter and tends to reduce accuracy. When gas or solid particles are entrained the vibration of the tubes increases therefore requires more energy to keep vibrating at the same frequency making the drive gain signal rise. In this case Drive gain is more reliable that density as a diagnostic for entrained gas because density is also affected by changing fluid conditions such composition and temperature. 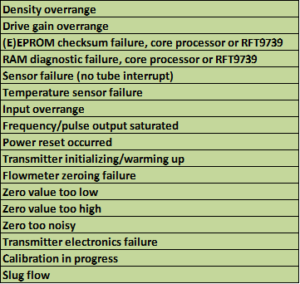 All those advanced diagnostic tools are implemented in our Drillsoft products. Don’t forget people, if you like this article please “Like”, “Favorite”, and “Share” it with your friends or colleagues to show your support!